“I could be blue, I could be violet sky, I could be purple, I could be anything you like…!” goes one of Mika’s songs, which could be used as a description for the country’s flower industry. There is a tremendous variety of species and the Netherlands is the biggest flower market in the world (about 50% of the world’s flowers pass through Aalsmeer Market). If you are invited to dinner you bring some flowers. When it’s someone’s birthday you give flowers. If you want to create an atmosphere at home you decorate it with flowers (some hotels hire special flower designers), and so on. Flowers are everywhere and we are all sensitive to their beauty, their scent … and the messages they convey. Walk through Amsterdam and you will soon understand that nature is all around you. There are cut-flower and bulb sellers in the markets, people use bikes, canals cover the whole city. There is an interesting and lovely mix of nature and architecture in Amsterdam. With slightly fewer than 800,000 inhabitants, Amsterdam is perfectly located in the center of Europe and has very useful transport facilities. So take your time, ride through the city, enjoy an amazing beer and smell an awesome rose, then take a car and drive to the Amsterdam “suburbs” to discover a fantastic place where greenhouses stand alongside canals or flower fields. Welcome to the Netherlands, where floriculture is a tradition, an art, a creation, a way of life. With 16,838,413 inhabitants and a density of 403.9 people per km2, the Netherlands is today the fifth-largest exporter. The Netherlands has faced a crisis in recent years because of the importance of exports to its economy. Its GDP decreased to 0.8% in 2013. However, the European Commission predicts GDP growth in 2014 of +1.2% and the IMF predicts +1.6% for the same period. Rotterdam’s port and Schiphol Airport make this country one of the most important European hubs for trade. The country can also count on large companies such Shell, Unilever, Heineken, ING and Phillips. If the Netherlands is known globally, it is for its floriculture activity. This is an old tradition; for a long time people have liked to grow things (both vegetables and flowers). In the last century, the Netherlands has increased its knowledge in this sector. In this way, flowers and the Netherlands are inextricably linked. First, it remains one of the biggest producers of flowers in Europe, and second, this activity attracts a very large number of tourists to the country (11,680,000 visitors in 2012). Although the Netherlands is known as the biggest flower producer, this sector is very competitive and some other countries, such as Ecuador, Kenya and Ethiopia, are becoming important producers. A few kilometers outside Amsterdam city center, the countryside changes. The highway ends and little roads emerge. There are fields, and in spring it’s a perfect place for tourists to visit as the fields are full of different colors and varieties of flowers. In this environment, competitors are numerous. In the previous century, many people had fields and decided to create their own flower plantation. This is the story of W.A.M. Pennings. The company is based near Amsterdam. Entering the meeting room feels like going back in time. There’s a tiny old work table with a weak light. Everything reminds one of the history of this company. Sjaak Verkade, communications director W.A.M. 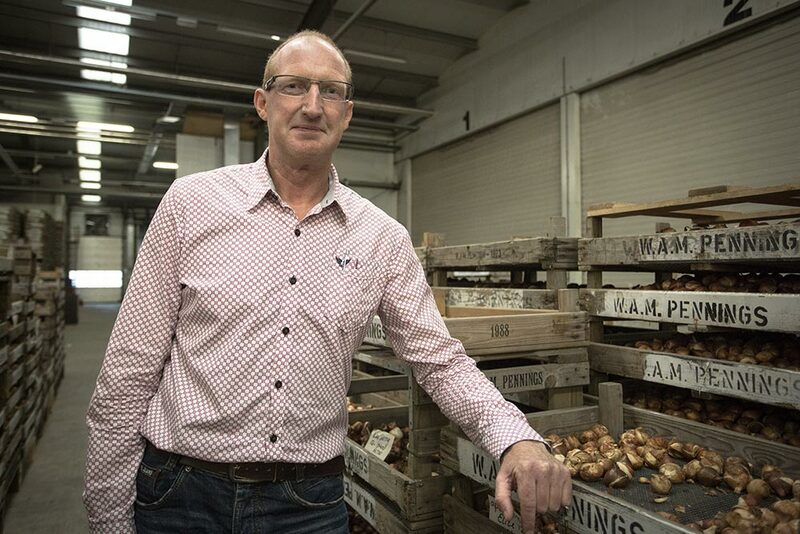 Sixty years ago, Wim Pennings started his company in Noordwijkerhout. He sold tulips. The company was growing quickly so he focused his activity on the cultivation and trade of garden tulips. Another step in the company’s development took place at the end of World War II. Business became easier with the USA (although you really had to be motivated because, initially, it took about six weeks by boat to reach America with your products) and competitors also became more important due to the size of the market. The 90s brought new development opportunities with the creation of the European Union. Trade was easier and eventually the common currency (the euro) transformed Europe into a huge single market. It’s a really important issue for Pennings because they sell their products globally. 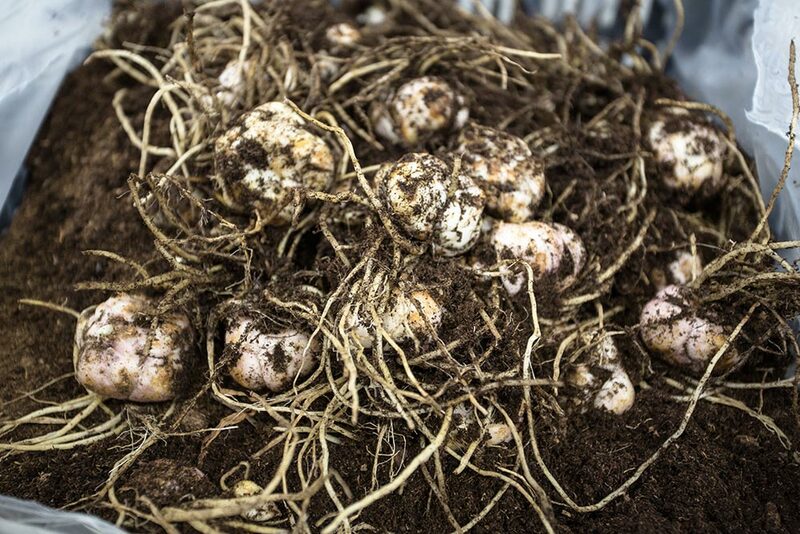 Today they cultivate more than 600 species and trade in about 1,000 species of bulbs. “Every day we develop new species. It generally takes about seven years to imagine, create, develop and trade one new species,” explains Sjaak Verkade, in charge of communications for W.A.M. Pennings. You need to be patient with flowers. Floriculture is like fashion. Needs change depending on the season, on fashion … so it’s hard to predict a new trend when it takes seven years to launch it! They have also decided, like many companies in this sector, to minimize pesticide use to enhance environmental protection. Today they are exploring emerging flower markets such as Romania, Poland and Russia. In this way, you can buy their bulbs in your corner florist (and maybe in the florist you visit during your holiday in another part of the world). In order to understand how they got from the field to your garden, here are the steps in the cultivation of tulip bulbs. They are planted and covered in straw from mid October until mid November. Bulbs are planted mechanically and covered with straw to protect them from frost. “In March the first tulips come out. The flowering period runs from late March to mid May. When a tulip flowers depends on the species (there are early species and late varieties) and on the weather conditions. With a mild winter and a warm spring, the tulips will emerge earlier than with a harsh winter and a cold spring,” says Verkade. After this, it’s time to check that the bulbs are okay and whether they have any viruses or diseases. If there’s any doubt, the bulb is removed (to limit transmission of diseases). After this check-up, employees remove the flower heads. This means that all the energy is kept in the bulb instead of the head of the flower, and so bulbs can grow again to form new bulbs in order to be planted next year or to be sold. In mid June they start to harvest the bulbs. They are stripped of dirt, sand and soil. 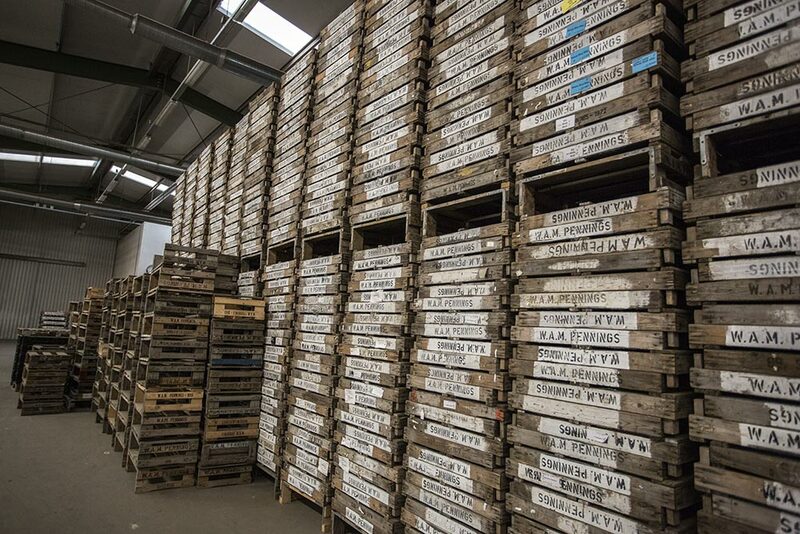 Once dry, they go to a peeling machine and are classified before being stored and readied (some of them need additional preparation) for export. After this whole process, you will finally find your bulb in the flower store. Choosing a flower is not an easy decision. As with clothes, flowers are fashion. Fashion changes every day. In every new season you see new clothes in different colors and different materials. You see stripes or floral patterns, and so on. Each country, each age, has a unique need at a particular moment. For floriculture, it’s the same. Fashion is changing, and if one day big flowers are on trend, the next day they’re not anymore. It’s complicated to adapt one’s offering because of the long process to introduce a new species to the market. But we can observe general trends. For example, France loves flowers in pastel colors whereas America loves flowers with strong colors, and Russia and Italy love big flowers. So each country prefers a different kind of flower (trends are often based on the size and color of the flowers). Anyway, there is a flower for everybody and producers, breeders and traders can share their thoughts about coming trends or new species at international fairs. Each November, one of the biggest fairs takes place in Amsterdam. Van Haaster Nevada also deals in bulbs. 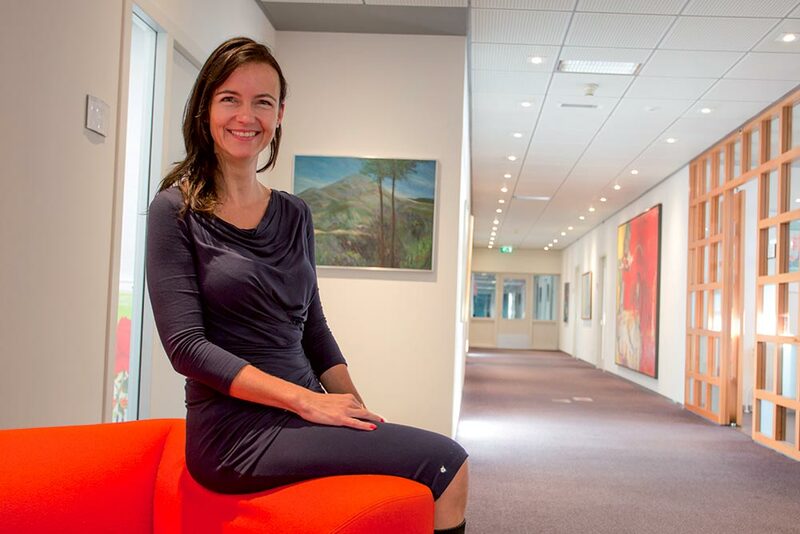 “We are exporting all over the world,” says Doesjka Van Haaster-Hoveling, financial director of the company. She tells us the story of the company, explaining that her husband learned about flowers in France and then found his clients using the phone book, looking for clients interested in flower bulbs. Today they use “new” marketing tools to sell their products and they export all over the world. “We found a new market in the Middle East,” she explains. Their job today is more focused on trading in bulbs than producing them. “To be a grower you have to be very big because prices are the same as 50 years ago while costs have gone up,” the executive says. They sell their bulbs to two kinds of clients: ones who use bulbs to produce flowers and others who resell bulbs to the final customer/user. In this kind of trade you need to be very aware of political and/or geographical issues. Crises, embargoes and customs tolerances are differences that can affect trade. Doesjka confides that they once traded some lilies in China. Chinese customs changed their policy on lilies and decided to apply zero tolerance of imperfections or parasites. So all containers already sent or prepared had to be thrown away. Plus, the recent crisis with Russia has affected the market. So, it is an everyday job in this sector to be aware of everything that happens outside the borders. To help them in this international context, the ANTHOS organization has been set up. Its goal is to represent companies and help them. It answers their questions and represents the interests of the sector abroad. It’s also interesting to see that each country has his own preference about the maturity of the flowers. Thus, when flowers are sold in France they need to be open, whereas in the Netherlands people will buy flowers that are not yet open (to last longer). Doesjka explains that men and women also have different tastes in flowers. She tells an anecdote about a supplier coming to their office with a new flower variety. All the men present found the flower beautiful while all the women though it was not very “pretty.” Taste in flowers depends on country, gender, season. That’s why there is such a big market where innovation stands alongside classic flowers. 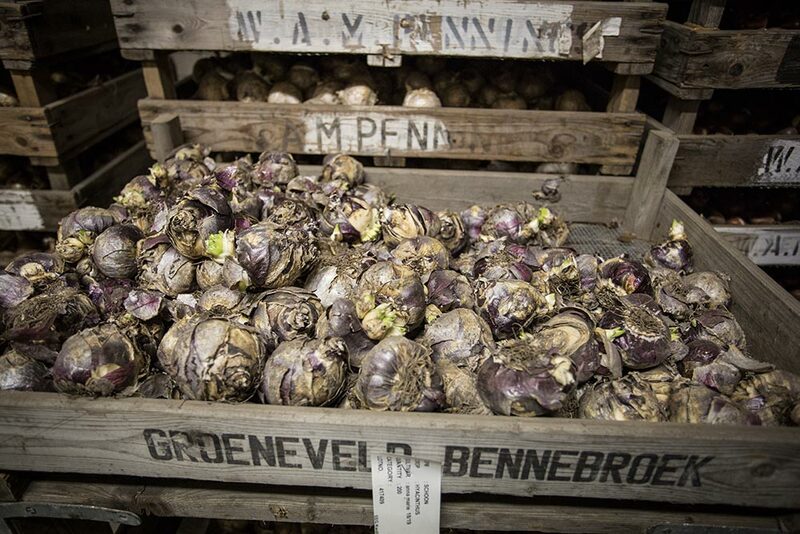 Flower bulbs are an important part of the market in the Netherlands. Some companies cultivate bulbs, others trade them, and some big companies do both. The Netherlands deals in several kinds of flowers. Of these, one is well known by everybody and is often a symbol of love and passion: the rose. It is one of the oldest flowers and has many varieties. Some companies in the Netherlands breed roses and others produce them, but each company works with other countries (including Ethiopia, Kenya and Ecuador) to be more efficient. “Breeding is the power of innovation,” explains Örjan Hulshof, international sales and marketing manager for De Ruiter Innovations. Roses, as with other flowers, try to match demand. That’s why you see lots of different species when you go to the florist to buy them. Innovation is a big deal for the breeders. They try to create the best roses. If you are going to the Netherlands you will probably see some greenhouses on your travels. The land is full of them! If you arrive at Amsterdam Schiphol by air at nightfall you will understand how important this culture is by the number of greenhouses with their lights on. 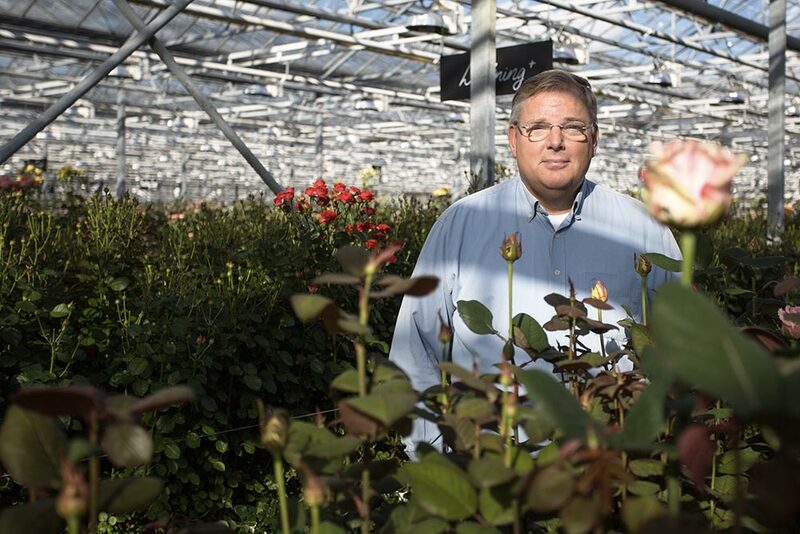 Breeders are crossing roses in order to create new ones, but the process is quite a long one. First, they reproduce roses by doing the job of the bees. That is to say, they take some pollen from one rose and inject it into another one. In this way they can cross two species, hoping that the new one will be a mix. This work is done by a breeder. Next, they have to wait for a new rose to grow. Breeders have special sections in their greenhouses for this step, like a nursery. New species then grow. Lots of crossings are done this way every year. 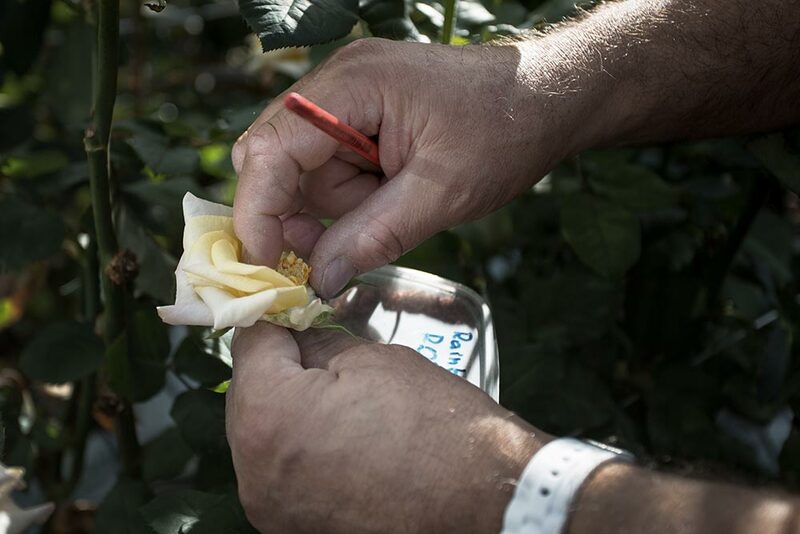 For several months, the breeders will take care of these roses and analyze the new characteristics of the species. It’s important to take into consideration the width of the leaves, the size of the rose, the number and size of the spines, the colors … from all these details, a few roses will be chosen to go forward to the second part of the creation process. Thus, the “lucky” ones will join a new part of the greenhouse. Breeders will analyze them again and again alongside other species. At this stage the roses don’t have a name, just a number. Finally, after many tests, a few roses (maybe one or two or ten depending on the year) will be selected to be introduced on the market. This process can take between four and eight years. The company will then name them. Depending on their characteristics, they will be sent to Ecuador or Kenya or will stay in Amsterdam to be grown before being sold to producers. 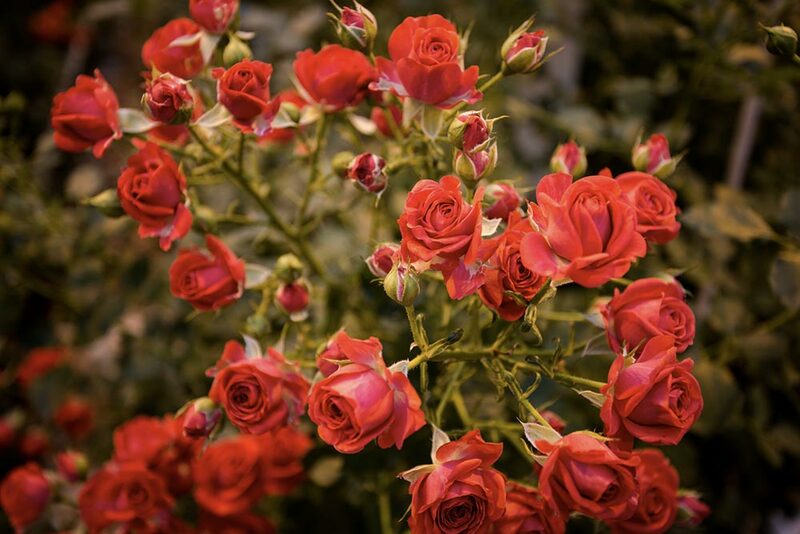 Breeders will choose a specific country for the rose because each country has its own particular climate, altitude and so on that permits the rose to grow in the best conditions. Several years ago, a flower appeared in florist stores – the orchid. 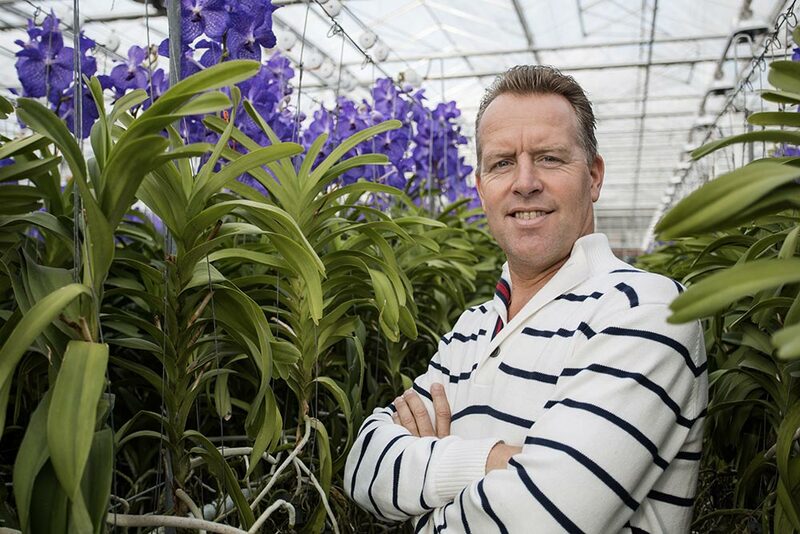 We met Steef Van Adrichem, commercial director of Anco Pure Vanda. He visited Thailand several years ago and immediately fell in love with an orchid, Vanda. He bought some plants and started a plantation in the Netherlands. 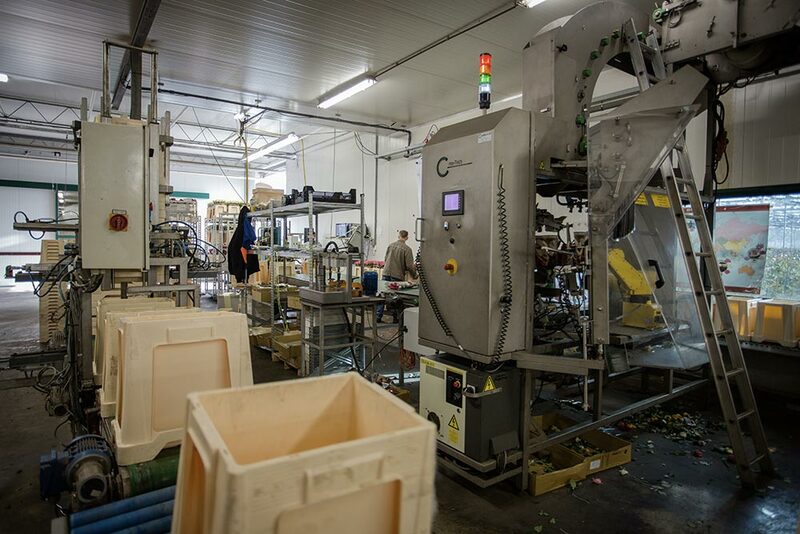 Today 60,000m2 are dedicated to Vanda and 95% of Vanda’s European production is by his company. Orchids are really popular. Each week two million are sold just in the Netherlands. Steef is passionate. He talks about Vanda as his baby. He is an artist; he creates jewelry with his flowers (his latest creation is a headband with a Vanda). But the company also works with prestigious hotels. “The market is difficult and we have to be innovative to stand out,” argues Steef. He shows us a new idea, selling cut flowers to florists so that they can include just one or two Vanda in a bouquet. He is full of ideas and passion. “I want to stand out. I work with fashion,” says Steef, showing us shoes with Vanda motifs. So, yes, you can work with passion, with innovation, with fashion, with jewelry to promote your flower, to face a crisis. If the Netherlands is famous all over the world for flowers, it’s because it’s one of the biggest markets for flower trading. During your visit to Amsterdam, if you like to get up early you must visit FloraHolland in Aalsmeer. Created in 1911, FloraHolland is a cooperative where supply (growers) and demand (buyers) meet. Enter the building and you are immediately in a different world – a huge space dedicated to flowers. All kinds of flowers are present (some of them are well known and others are rare). It’s like a small village with separate areas. A village with its own code. 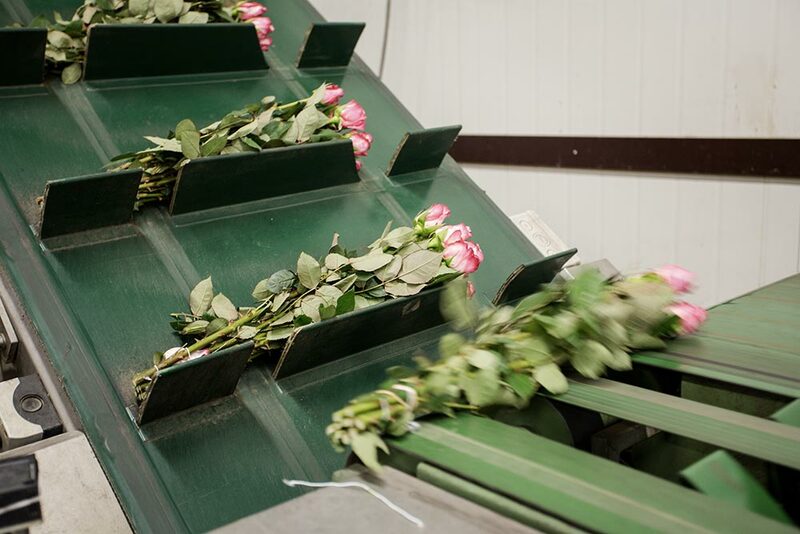 From the afternoon until 3 a.m., growers come to Aalsmeer to deliver their flowers (generally freshly cut during the day), and at 6 a.m. the journey starts. All the flowers are stored in cold areas. “At about the size of eight soccer fields, this is the biggest fridge in the world,” jokes Lex van Horssen, press officer of FloraHolland. During the night, inspectors check both flowers and plants to prepare for the auction. Even though the place looks a mess, everything is codified. This giant area is full of people on their little cars (trolleys to take enormous boxes of flowers from one place to another). At first sight, you will be astonished by the number of cars, of rails, of flower boxes. It’s like being on a highway. Most people work here for several hours and then go on to a second job. Approximately twenty percent of employees are women. Some of them do this job so they can easily schedule their day, as it is mostly done at the end of the night/start of the morning. Several years ago FloraHolland launched a human resources program called “Working at night.” “We make people aware of the risks of working during the night, so we speak to them about health, how to sleep well, how to eat correctly … and one consultant is dedicated to preventing risk,” explains Esther Bodde, HR manager at FloraHolland. 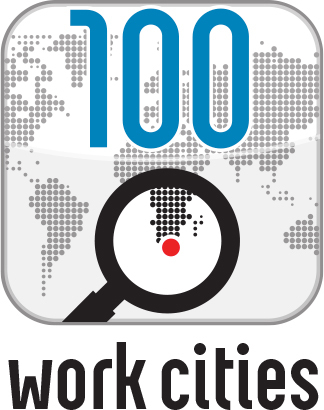 Today the company has approximately 3,500 employees who represent around 50 nationalities. This is a huge integration issue, but has been successful thanks to a big family culture and wide training choices to empower employees. FloraHolland offers, for the most part, long-term contracts. All the trolleys are here to bring flowers from the cold area to the auction room. In order to sell the products, there is a big room in the market to present them to the buyers. This is the auction room. Let me describe this place for you. You feel like you’re in Wall Street, except you’re buying flowers rather than shares. There’s an amphitheater in the middle of the room where buyers are seated in front of their computers. Downstairs you find the “stage,” where all the products are presented. On both sides of the room, two auctioneers are engaged in live chat with the buyers. Just above them are two clocks. These are the heart of the trade. The clocks represent the sales (actual and coming). Each screen indicates the next sale, the quality of the flowers, the producer and so on. The prices at these auctions decrease. That is to say, the auctioneer sets the highest price of the product. Then, represented by a clock, the price passes in front of the buyers. They can buy the product just by pushing a button on the table. They need to get the flowers and pay the appropriate price for them – a difficult challenge because they need to be really fast. “I never succeed in pushing the button at the right moment,” confesses Lex van Horssen. So this is an important issue. 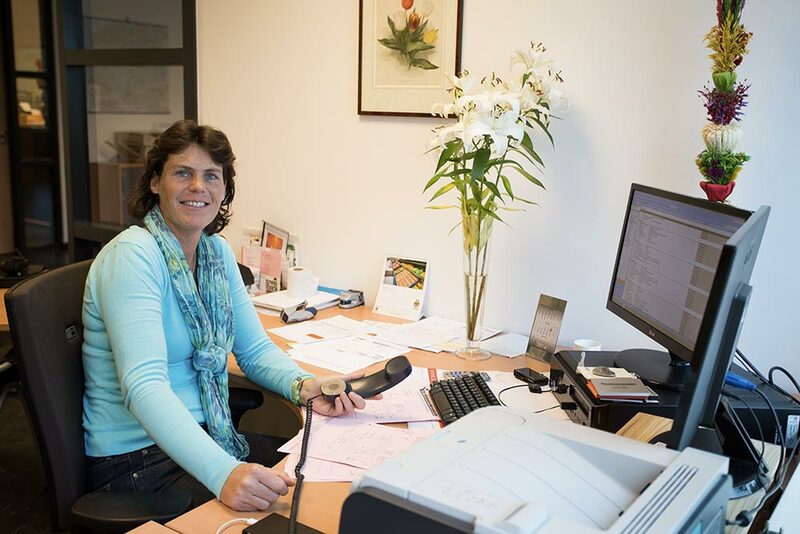 “This is a real advantage for both buyers and growers because buyers know that they will find all they need at Aalsmeer and growers know that they will sell their products among all these buyers,” argues Lex. This is an important issue for both because they have just one delivery point. All the product is in one place, reducing transport and logistics costs. 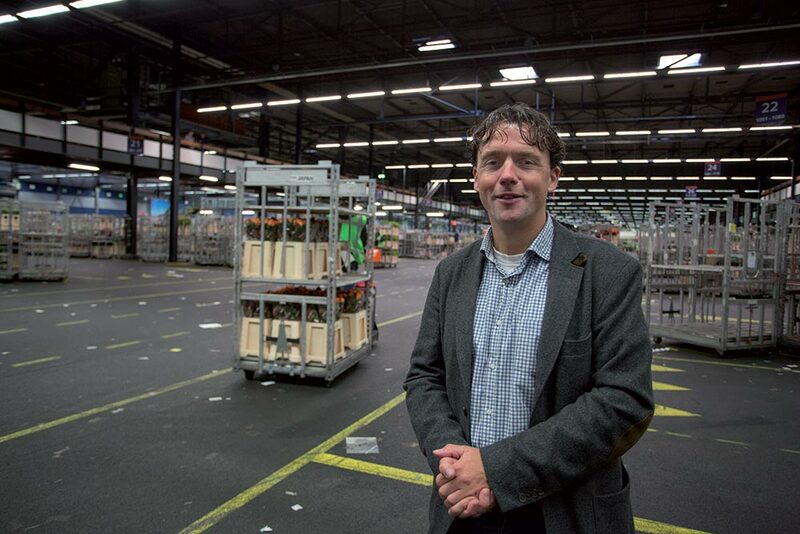 FloraHolland’s turnover was 4.5 billion euros in 2013. The main export country is Germany (with about 1.5 billion euros), followed by the UK and France. Today FloraHolland is investing in innovations to anticipate change. Because of the internet, fewer flowers are physically present in the auction room and more and more buyers are connecting from their offices to take part in the auction. Trade is changing. In the past, all trades took place with the stock and the buyer physically in the same place, but now the internet has changed this sector and people are working from their offices on all the stock exchanges on the globe. 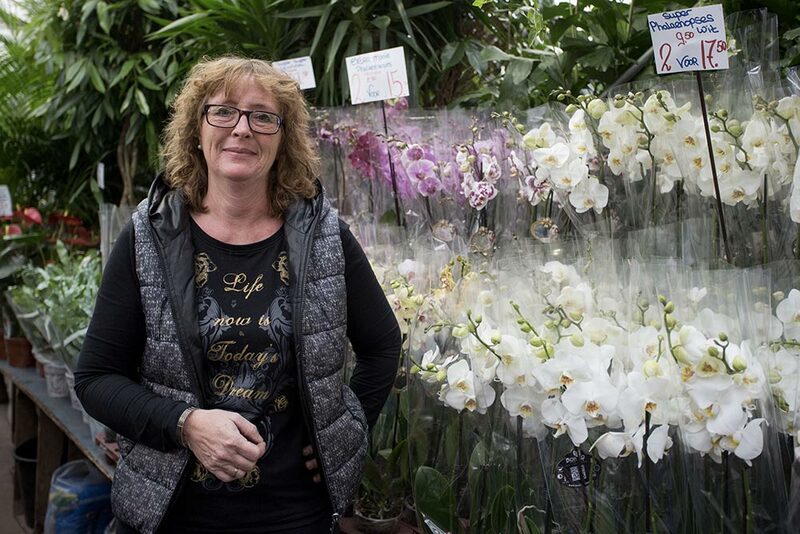 It is exactly the same at Aalsmeer – buyers use the internet more and more to buy their flowers. Maybe it will open new markets by having buyers from around the world. This is a very important issue and all the companies in the sector are concerned. 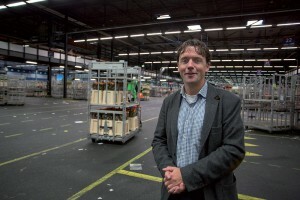 FloraHolland also need to deal with transport and logistics issues. It’s really important to preserve the freshness of the flowers; they must be delivered to the buyers as soon as possible. The trolleys are part of this process. They bring all the flowers bought by one client and deliver them to a particular place. In this way, you can buy flowers in your florist that have been cut 24 hours earlier, even if you are far away from Amsterdam! In 2013, each day in the auction room, 9.2 million euros of flowers were sold (that’s 29.9 million flowers every day). The bestsellers are roses (780 million euros in 2013), chrysanthemums (291 million euros) and tulips (270 million euros). It’s also interesting to note that the most important days in the flower sector are, first, March 8 (International Women’s Day), then February 14 (Valentine’s Day) and Mother’s Day. Chrysanthemums are related to the end of a relationship. That’s why they are generally used in the cemetery. Violets mean that you love someone in secret. Perfect for timid people! If an olive branch symbolizes peace, palm trees symbolize victory, and so on. W.A.M. 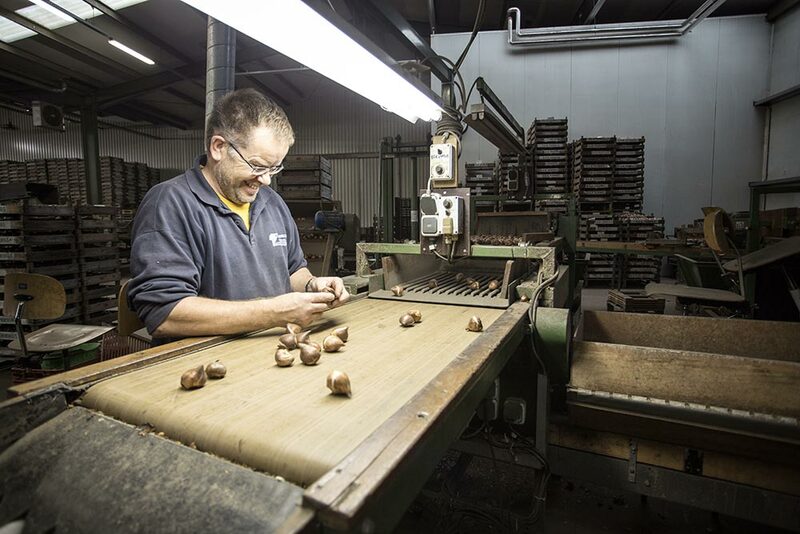 Pennings, founded 60 years ago, is a producer and trader of tulips. The company has several subsidiaries and has approximately 20 permanent employees. FloraHolland, is a cooperative flower auction offering growers and customers a network of national and international marketplaces and an internationally active import department. Lex+, is a rose creating company based in De Lier, with showrooms all over the world. 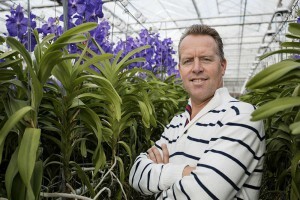 Anco Pure Vanda, (formerly ANCO Orchids) is a producer of Vanda orchids, established in the Westland. 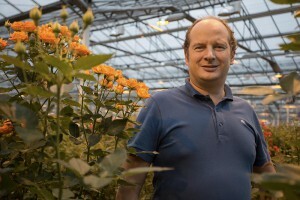 Olij Breeding, is a breeder and producer of roses based in De Kwakel, near Amsterdam. Van Haaster Nevada, established in the flower bulb region, is a well-known exporter of flower bulbs, tubers and herbaceous perennials. Vazoplant, is a flower and plant shop in Amsterdam’s famous Bloemenmarkt. 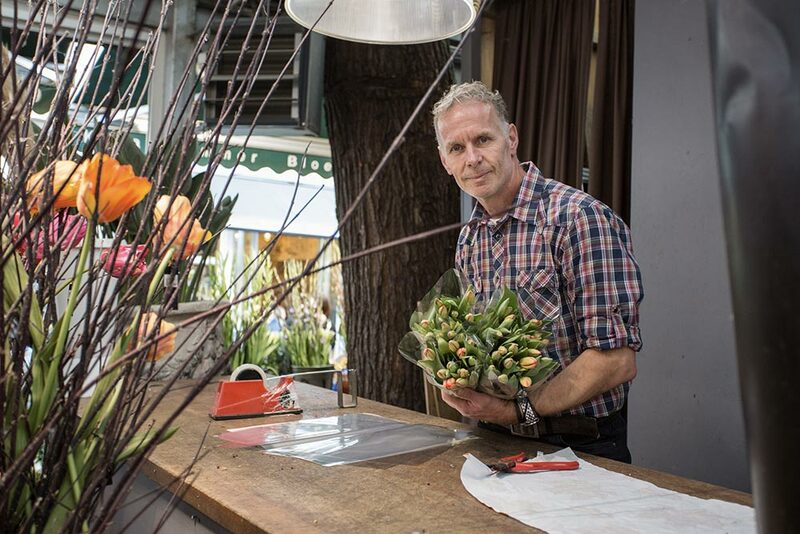 Klaas Timmer, is a flower shop in Amsterdam’s famous Bloemenmarkt. De Ruiter, is a developer of roses based in Amstelveen, close to Amsterdam.